HCM City (VNA) – Vietnam and Thailand have numerous opportunities to boost partnership in electronics and refrigeration industries, said Chanthapat Panjamanond, an official at the Thai Ministry of Commerce. 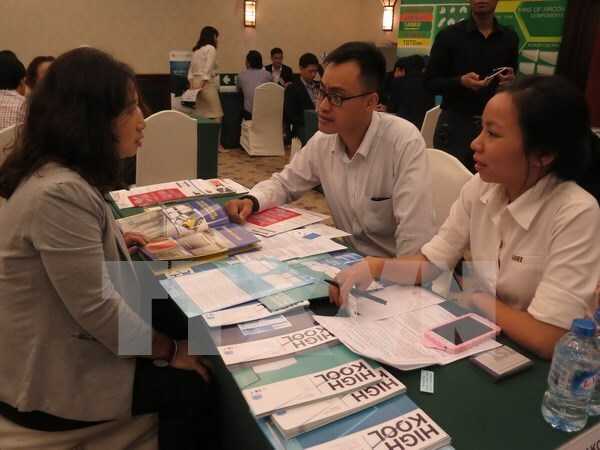 Panjamanond, head of the industrial products division at the ministry’s Department of International Trade Promotion, made the remark at an event in Ho Chi Minh City on March 17 to introduce electronics and refrigeration exhibitions. The two countries can become partners in producing electronic and refrigerating equipment as their respective advantages can support each other, he said, elaborating that Vietnam has certain strengths in producing solid-state drives for refrigerators, TVs and air conditioners. Meanwhile, Thailand is regarded as one of the world’s manufacturing hubs with a number of famous electronics and refrigeration brands. The official noted stronger bilateral cooperation can help the two countries increase trade, pointing out the fact that Vietnam is importing a relatively large number of electronic equipment from Thailand. However, the import is mainly conducted through a third party, pushing up prices when the products are sold in Vietnam. Thailand hopes that more and more Vietnamese businesses will partner with Thai producers to beef up the trading of electronic and refrigerating products. It can also assist Vietnam in manufacturing electrical, electronic and refrigeration equipment by providing high-quality components. Sarod Nikimaew, a representative of the organising board of the Bangkok RHVAC 2017 and Bangkok E&E 2017 exhibitions, said Thailand opens large-scale fairs to connect global enterprises with leading manufacturers in the complete supply chain of electric, electronic and refrigeration products. Bangkok RHVAC 2017 is one of the world’s five biggest trade fairs on refrigeration, heating, ventilation, and air-conditioning. Meanwhile, Bangkok E&E 2017 will showcase the latest technologies for electronic production. Both events are scheduled to take place in Bangkok from September 7-10.